Outdoor shoes Climatica Air GTX by AKU with waterproof Goretex liner, suitable for light outdoor experiences, travel and urban life. Climatica Air GTX is a modern and versatile shoe, designed to deliver maximum internal comfort in various climate conditions. The Air GTX version is proposed with a mesh upper to enhance the ventilation in summertime. Suitable for light outdoor experiences, travel and urban life, Climatica Air GTX features the ultimate Gore-Tex® Surround® technology that provides both waterproofness and excellent breathability also through the plantar area. 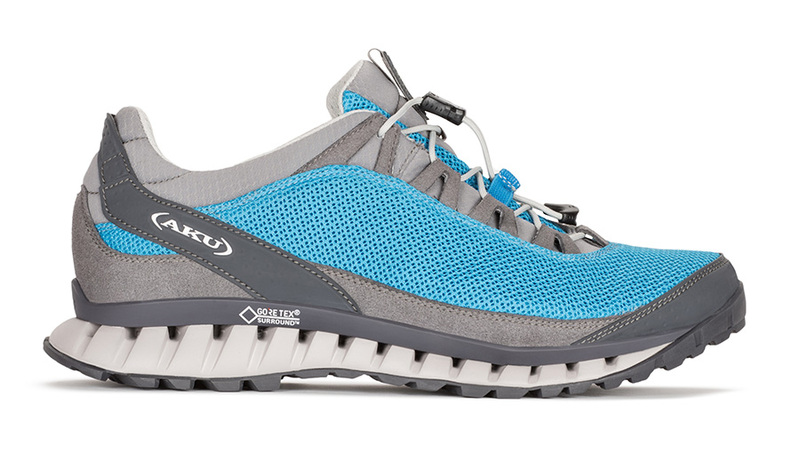 The outsole is made with the brand new AKU Climatica Tenuta Grip, a special rubber compound that delivers stability and adherence on rugged terrain.